No matter what size the company, having projects to manage can become overwhelming. It's easy to get lost in the details and lose sight of the big picture. Multiple tasks and workflows create confusion and in many cases can hamper progress. And if there are customers making changes and requiring updates added to the mix, it gets even more complicated. Dmitry Abramov, CPO of Kaiten, stopped by the studio to introduce their new product. 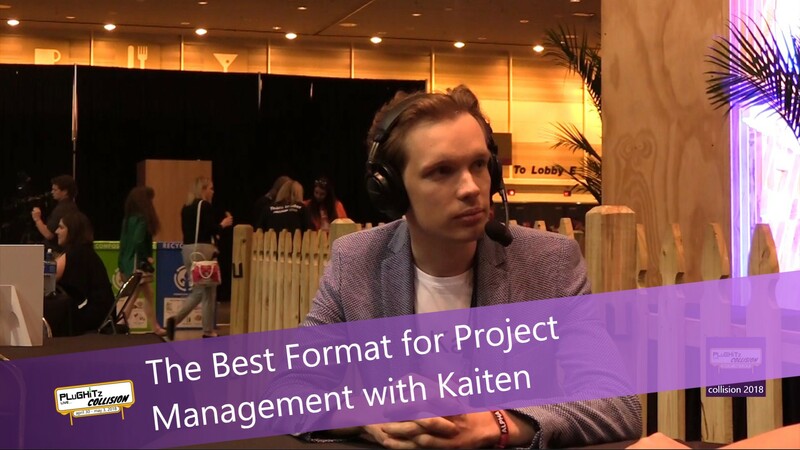 Kaiten is a visual management platform that helps to conquer the complexities of project management for all sizes and types of businesses. It allows for visualization of the overall process flow and finds the various bottlenecks and problems along the way. It is then able to optimize the entire process with their unique analytical engine. It's a system that will see the big picture and then dive deeper when needed. A tool which can unite multiple departments in one place while having control of the whole picture. Some of their clients are outsourcing companies. This type of company has very complex projects with various clients, different employees that interact with the clients and even multiple developers who are working on different aspects of the project. This often makes it difficult to keep things moving smoothly throughout the process. This tool allows for a seamless process while also allowing customized views for all who are involved, even for the client. This customization provides more than just a high-level overview and is better for providing deliverables on time. It also creates a new level of transparency from start to finish. As for pricing, they are currently working on a subscription model, starting at seven dollars per user, per month. This would be ideal for the small to mid-sized company. Large companies with more security needs would require a private cloud and prices would go up according to their needs. After you watch the full interview, make sure to head over to their website for more information and to view their demo.